Who doesn't love popcorn, when you’re chilling at home with your pup and catching up on your Netflix? 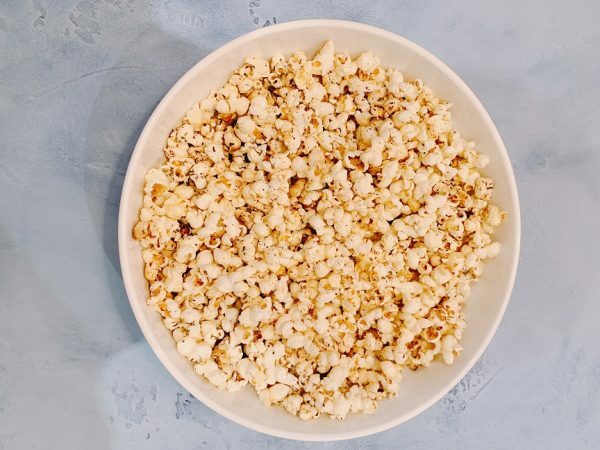 Air popped popcorn is a great snack for Mommas and in moderation—without the extra butter and salt—can be a healthy treat for your pup. Plus, these herbs hold lots of great medicinal properties for your pup. Rosemary is high in iron, calcium, and Vitamin B6 and has also been shown to act as an antioxidant. Oregano is an antimicrobial that helps with digestive problems. Thyme is used to add flavor in common dog food brands, improve digestion, and acts as an anti-bacterial agent. Parsley is often added to dog treats as a breath freshener or used to soothe the stomach. 1. 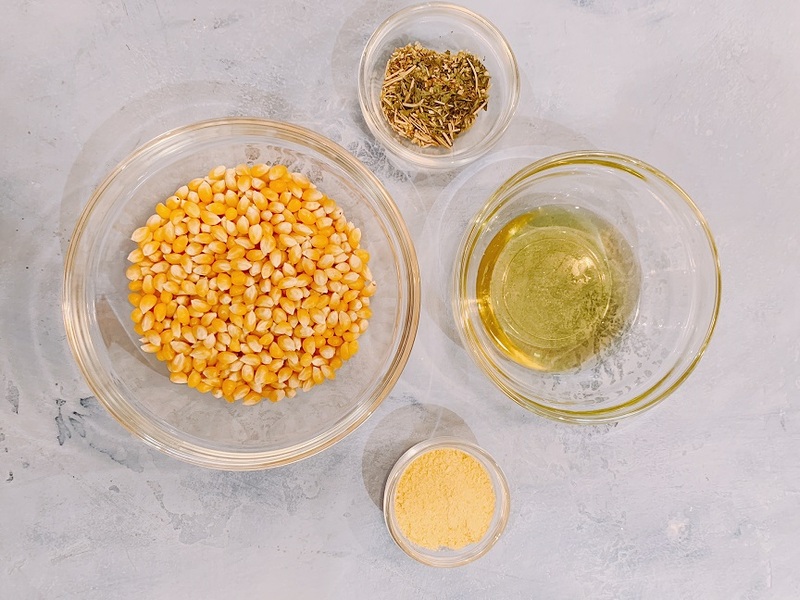 Take a stock pot and evenly disperse the popcorn kernels, cover them in the grapeseed oil and shake. Cover the stockpot with the lid and turn the gas on high. Leave covered until you do not hear any kernels popping. 2. Transfer the popcorn to a bowl and sprinkle the herb mixture and nutritional yeast. Toss until it is evenly divided. 3. Mommas may add a sprinkle of salt over their servings. Serving Size: 1 ½ cups for Mommas; 1/4 cup-1/2 cup for dogs, depending on your pup's size.